Local recreation centers are a hub of any community. Providing leisure, exercise, day camps and many other activities, recreation centers are a great way to enjoy a morning or afternoon. 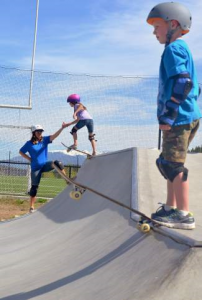 Learn how to skateboard, rock climb, play tennis or take a dip at the recreation center in Vail / Beaver Creek area.